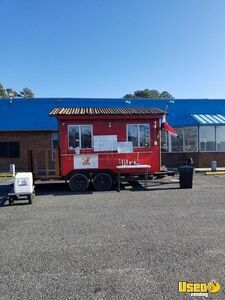 8' x 12' Food Concession Trailer Used Street Food Trailer for Sale in Virginia!! 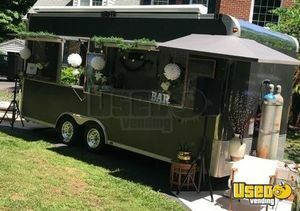 Set up your ultimate drink station with this used concession trailer that is 8' wide and 12' long ( 16' long with tongue ). See more information down below. 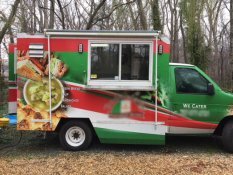 2017 - 8' x 12' Turnkey Food Concession Trailer with Van for Sale in Virginia!!! Grab the dynamic duo that can help you reach your dream food business success! 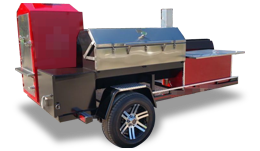 Get this 2017 model 8' wide and 12' long mobile food concession unit that comes with a Chevy van to pull it! See further information of these units below. 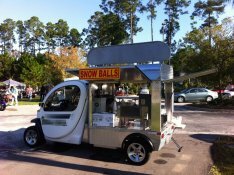 Shaved Ice / Ice Cream Concession Trailer for Sale in Virginia!!! 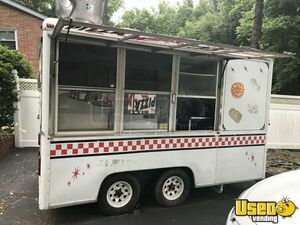 Start the most flavorful street food business today with this very good condition concession trailer that's great for sno-cones and ice cream treats! check out more details below. 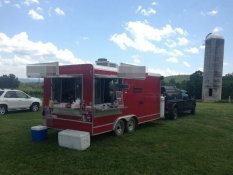 2017 - 8.5' x 18' Food Concession Trailer for Sale in Virginia!!! 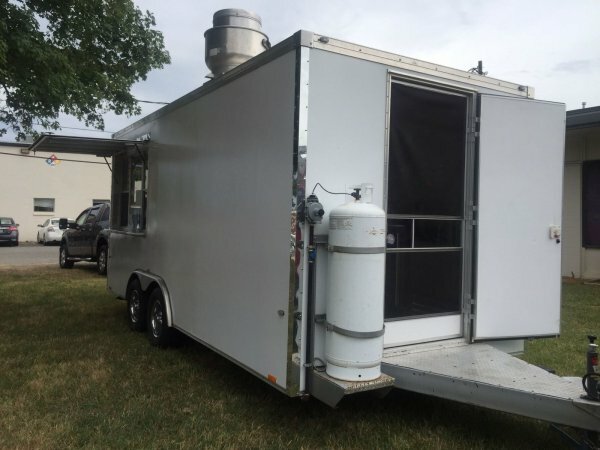 Your career in the mobile food concession business industry can start with this 2017 - 8.5' x 18' street food trailer that has 7' of inside standing height. See more information below. 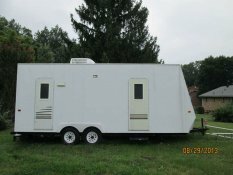 8' x 20' Beverage Concession Trailer for Sale in Virginia!!! Be the best mobile thirst-quenching unit in town! 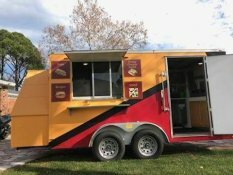 Start your own business with this 2004 model street beverage concession trailer that's 8' wide and 20' long! Perfect for weddings, festivals, and more. See further information below. 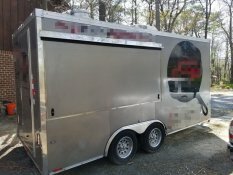 2011 - 6' x 16' Food Concession Trailer for Sale in Virginia!!! 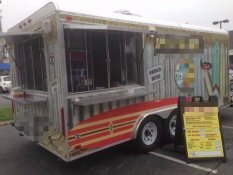 Get ready for the street food action and start your own mobile food concession business with this 2011 model 6' x 16' food concession trailer! See more details below. 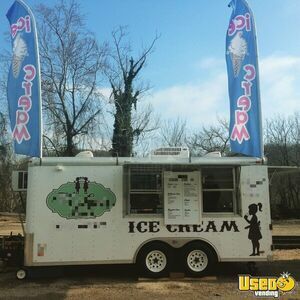 7.5' x 16' Ice Cream Concession Trailer for Sale in Virginia!!! There's always room for dessert! 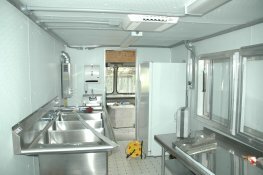 Grab this 2004 model ice cream concession trailer now and start serving that ice cold treats! 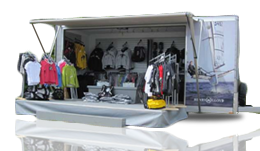 This trailer is 7.5' wide and 16' long with 7' inside standing height. See more details below. 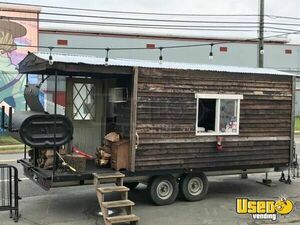 Food Concession Trailer for Sale in Virginia!!! Be part of something awesome! Be part of the world of concession business now! 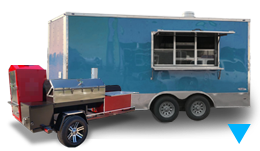 This Wells Cargo dual axle food concession trailer is a great unit to start a business with. More details shown below. 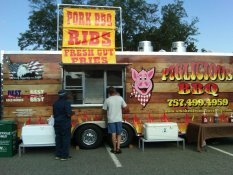 8.5' x 19' BBQ Concession Trailer with Porch for Sale in Virginia!!! 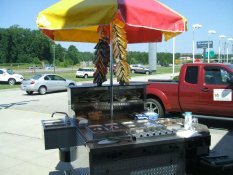 For Sale in Virginia - This is a 8.5' x 19' Mobile Kitchen BBQ Concession Trailer with Porch. Unit has an inside standing height of 7' and it is in very good condition. See more details below. 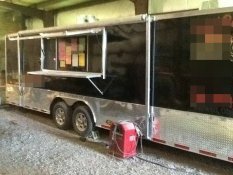 8' x 29' Food Concession Trailer for Sale in Virginia!!! 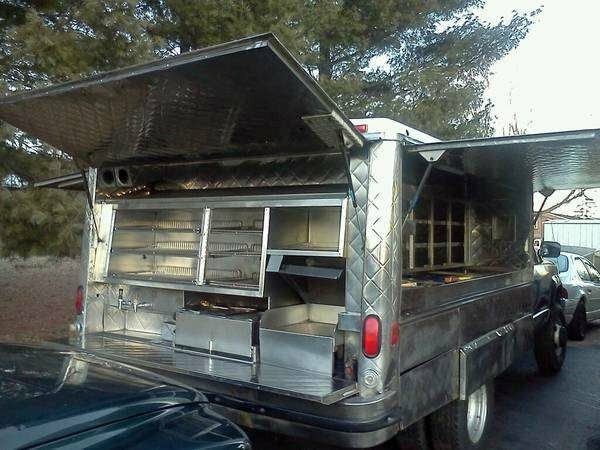 For sale in Virginia - One food concession trailer with 7'4" inside height. Trailer is in great operational working order. More details shown below. 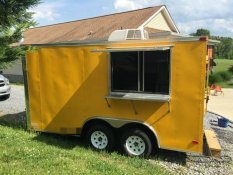 7' x 14' Food Concession Trailer for Sale in Virginia!!! 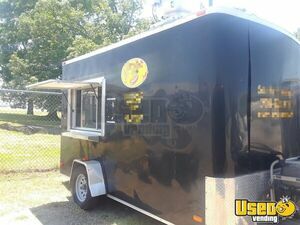 For Sale in Virginia - This is a 7' x 14' Food Concession Trailer that is in good condition. See more details down below. UsedVending.com was able to do all the leg work for me, no haggling or questioning about "making payments ". 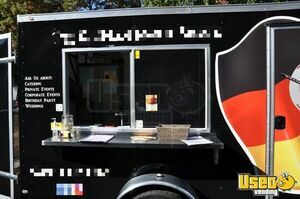 UsedVending.com was very helpful and an asset to the sale of my food trailer. Other sites and market places had the people that were "interested ", however UsedVending.com was able to do all the leg work for me, no haggling or questioning about "making payments ". Bradley made certain that all of the necessary measures and steps were taken care of before they even put me in contact with the buyer to set up an inspection. He was truly a professional and had all the answers to my questions about the process. If I'm in the market for or ever selling again, Bradley and Usedvending.com are who I'm going to use! They did the job in very professional way. I will use them again. They did the job in very professional way. I can’t say enough about Wendy at UsedVending. 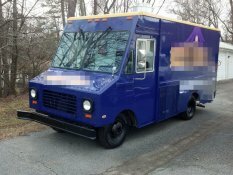 She understood the anxiety that comes with selling a food truck and helped me through every step! She was available and proactive and really did so much that while I’m sure is just “part of the job” but that made this experience easy as it could be. I will recommend this service to all I can and please give Wendy the praise she deserves. Thank you so very much! 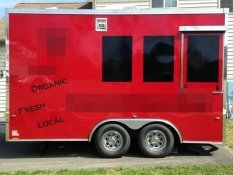 I just sold my beloved trailer through Used Vending.com. Great experience! 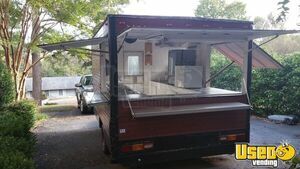 I just sold my beloved trailer through Used Vending.com. The salesman Bradley Heath was fabulous to work with. He was always extremely polite and always had correct information in a timely manner. Great experience! I couldn't have done it without you. Very thankful. Thank you Melissa! 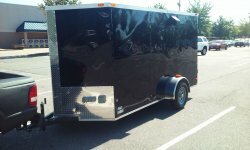 Your experience and care made all the difference in selling my trailer. You were very understanding and always made sure that everything was ironed out between myself and the buyer. I couldn't have done it without you. Very thankful. Wendy was very helpful and knowledgeable about the industry. Helped me settle on the right price for my trailer for quick sale and negotiated a good deal when an offer came in. Sold in under 2 months! 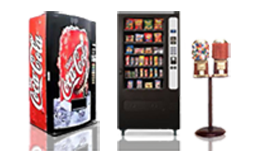 Now I can get started on a brick and mortar before expected, so I am very happy with UsedVending and how they handled everything. USEDvending.com found not one, but two interested buyers. I tried advertising nationally and locally with not even a bite. USEDvending found not one but two interested buyers. Wendy was awesome to work with and made the whole selling process an absolute pleasure. 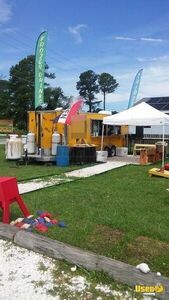 If you have a food cart, truck, or trailer to sell....USEDvending is the place to do it! 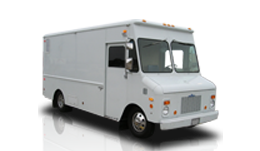 I will like to say I love using UsedVending to sell my Trucks; my experience was excellent , great customer service and customer satisfaction, the representative Tonya Wages help me during the process of selling my truck- very professional , I will definitely do more business with this great site service. UsedVending found not one but two interested buyers... made the whole selling process an absolute pleasure. I tried advertising nationally and locally with not even a bite. USEDvending found not one but two interested buyers. Wendy was awesome to work with and made the whole selling process an absolute pleasure. 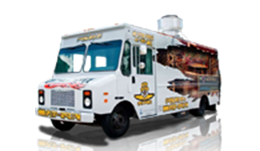 If you have a food cart, truck, or trailer to sell....USEDvending is the place to do it! Thanks, Ted Lambert. Overall experience was top notch; I will certainly seek their assistance once again. 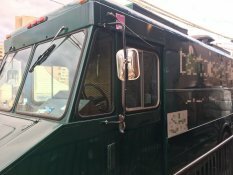 UsedVending.com is a great site to look at to find the exact piece equipment that is going to suit your needs. The employees go above and beyond to help you even find the equipment and then after you do find it they are so pleasant to work with to get you through the process of purchasing the unit. I do need to acknowledge Wendy Byrd, that is the customer service rep that we personally worked with, she is excellent and goes above and beyond her duties even on her off days she was more than willing to work with us to make this happen. Overall experience was top notch and if ever needing another piece of equipment I will certainly seek their assistance once again. When we bought the Truck my son and I found the truck through Usedvending, and we bought the Truck at a fair price, we went to N.J. To pick it up and bought the truck - took some work to get it home but we made it and used the truck with good results. When it came time to sell the truck we thought first of Usedvending and sold the truck in eleven days for a fair price with great help from Wendy Byrd who helped us buy the truck. I am very happy with the service provided and will recommend your service to any one we come in contact, Thank you very much! It took very little time and effort on our part. Usedvending.com was awesome! It took very little time and effort on our part. The whole process was simple and Melissa was great to work with. She was "Johnny on the Spot" and got the deal done. I would highly recommend using this company. The transaction was great. Other than a few hiccups with check image, it was seamless. You guys run an A+ business and its always a pleasure getting the extra sales. Thanks so much for all of your assistance. I had a great experience working with UsedVending. Everyone was very professional and helpful from posting my original listing, emailing me monthly to ensure the listing was up to date, coordinating questions and responses between potential buyers and seller, and providing support and document direction throughout the final transaction and transfer of property. I would use this service again in a heartbeat and recommend it to anyone else I know in this industry. This can be a really stressful process and UsedVending made it very easy for me. Thanks again. It makes things a lot easier when your not used to selling. 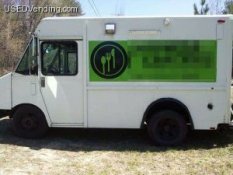 I just recently sold my food truck that I had listed with Usedvending.com. Melissa was my contact there and she did a great job handling the sale. It makes things a lot easier when your not used to selling. All the paperwork was provided which made it a breeze. I would list items again on USEDvending.com. I had an awesome experience with Usedvending.com. I had an awesome experience with usedvending.com. 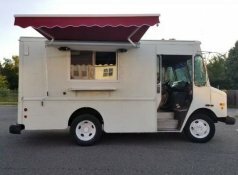 I contacted Melissa Powers and she was always quick to respond and extremely helpful locating and negotiating a concession trailer for my new business. I plan to expand and I will definitely contact her through this site again! Wendy Byrd was the key to an excellent buying experience with Used Vending. She professionally answered all my questions about the equipment I was interested in purchasing. She was key in making the deal happen during negotiations. Thank You Again Wendy. 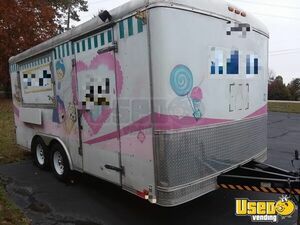 Very satisfied with the way Usedvending handled the negotiations for the trailer I purchased. I was very satisfied with the way Usedvending handled the negotiations for the trailer I purchased. Wendy made everything so easy. I will definetly use the service again in the future when planning to purchase a new trailer. I would use the company again. My experience using USEDvending.com was a very good one. Melissa worked with me on a couple of different units until I purchased the one I thought would fit my need. Melissa is very good with updates and communications. I would use the company again. Hi, Melissa, I want to let you know that I am so happy with the service that you and your company give me I want to thank you for your help, thanks again. 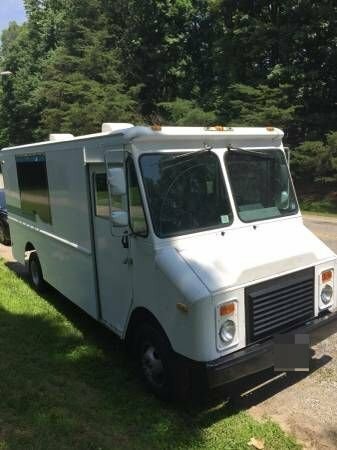 I recently purchased a vehicle from USEDvending.com and it was a terrific experience! Melissa was very efficient and professional. My questions were answered immediately which made the decision process very easy! Once I decided to purchase the vehicle the paperwork and entire transaction was seamless and very professionally handled. I felt like I had an advocate in this deal instead of the uneasy feeling of purchasing through an un-vetted vendor. My vehicle was delivered on time and in the condition as promised. Thanks Melissa! My experience with USEDvending.com was a wonderful experience. Greg Frierson was a great help in answering all of my questions and the transaction went very smoothly. 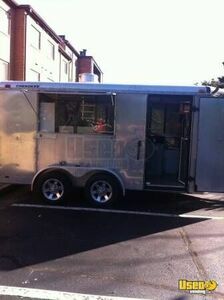 I am the proud new owner of a Food Concession Trailer thanks to Greg! Im so happy with the service that I added 2 more listings. These guys get the job done! The last business i did with them was great fast and easy. Im so happy with the service that I added 2 more listings. They are responsible, reliable and know what they are doing. They look at your sale like their own and they care for the seller as much as the buyer! You have a business to sell this is the place! 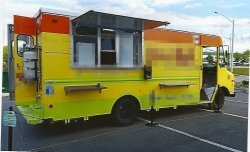 I am so pleased I chose to work with USEDvending.com to buy my new food truck. Melissa was a tremendous help, and made me feel like I had a partner in my search for a new vehicle, not just a sales rep looking to close a deal ASAP. I would recommend usedvending to anyone who wants to buy or sell. They were thorough, efficient and responsive. Melissa with used vending worked closely with us and the buyer of our truck making the whole process quick and painless! We couldn't have asked for a better sale. Thanks a million! Melissa was absolutely wonderful to work with! We had a few challenges getting our unit sold but she never gave up! She was very thorough and worked hard to get the price we wanted.